To celebrate the official release of Wind Warrior to the public (5) lucky winners will be chosen to win some great prizes. Leslie Michaels is a visionary, and only those close to her know of her special gift and the visions that come when her mind and body surrender to sleep. Fate has a way of righting many wrongs, and for Leslie it is a destiny that changes her life dramatically. But not before she is forced to flee into the wilderness to escape a murderous trapper bent on claiming her for his very own. Faith and a strong will to survive are her only companions, until she encounters Winnokin, the handsome Seneca war chief who first came to her in her dreams. Not only does he prove to be her rescuer and protector, he teaches her that tragedy can breed happiness and the passion to live and love deeply once again. 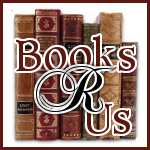 Wind Warrior plunges readers into the intimate depths of a relationship that unfolds like a live drama before their eyes while painting an insightful and intriguing portrait of Native Indian life in the 1800s. It is a story of longing, of a wanton need to survive all odds, and a love so strong it conquers human evil. Wind Warrior expresses with cunning words the simple, raw human emotions that hold readers spellbound and captivate their hearts. 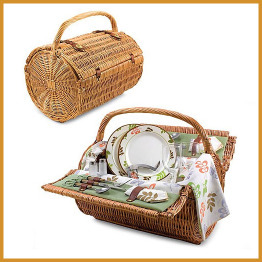 Two-lid willow picnic basket with deluxe service for two. The exquisitely handcrafted Barrel picnic basket was designed for the picnicking elite. This uniquely designed, double-lid rattan basket is lined with a colorful leaf print canvas, and is very versatile as well as stylish. Ideal for any gift giving occasion while supplies last or a substitute will be chosen comparable to the one above. 2 Napkins, cotton 14" x 14"
2 Handblown wine glasses 8 oz. 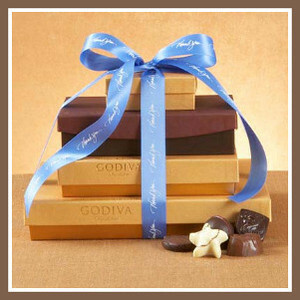 1 Tablecloth, cotton 44" x 44"
Chocolate Indulgence Tier by Godiva Chocolates ~ always elegant, and simply sophisticated it includes a 19 pc. Nut and Caramel Gift Box, 15 pc. Milk Chocolate Gift Box, 8 pc. Truffle Gift Box and 4 pc. Gold Ballotin. 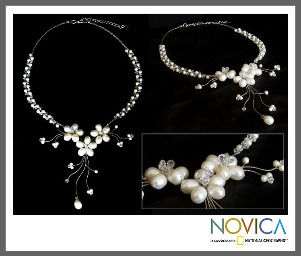 This handmade creation is offered in partnership with NOVICA, in association with National Geographic while supplies last or a substitute will be chosen comparable to the one above. After doing what is required to enter, please leave a comment on this post for your entries to be counted. FOLLOWING YOU ON GOOGLE FRIEND CONNECT AS "kytah00"
CONTACT ME kytah00@yahoo.com & THANKS FOR THE OPPORTUNITY! I'm a new follower via GFC. hope to win - double check!